Tonight is the last night of 2010, and while others might be starting out the next year with 10 pounds of fireworks, today I received 10 pounds of something else in the mail that is even better. For some this might sour the mood, but everyone else I think it is a pretty sweet deal. 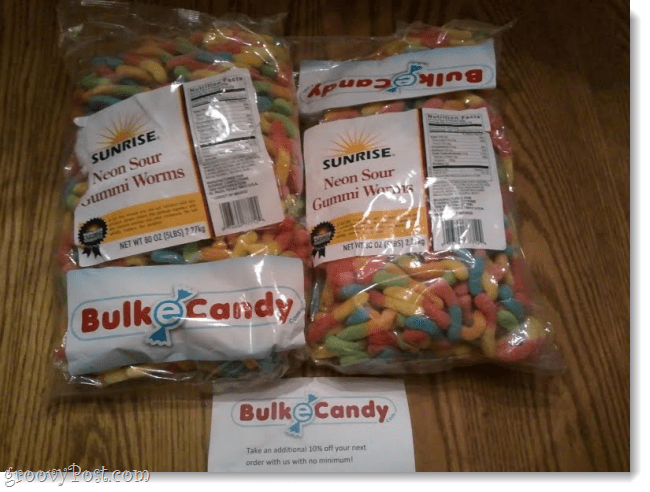 The website bulkEcandy.com sells massive amounts of candy at some pretty groovy prices, the only catch is that you have to buy it in bulk. 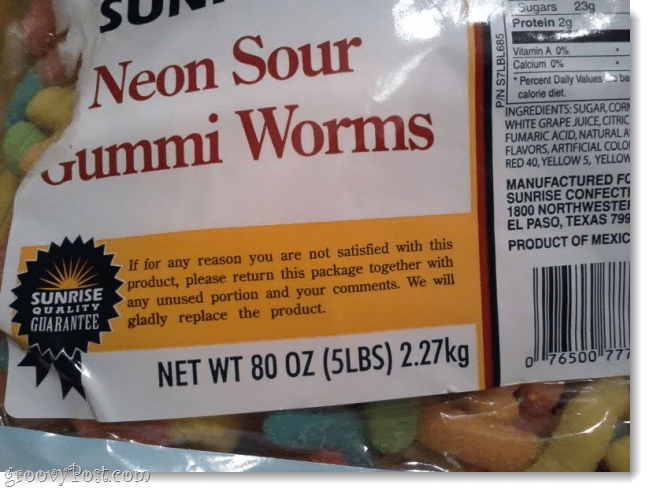 Occasionally they will do a seasonal sale and you can pick up two boxes of candy for the price of one, and that is what I did when getting these worms, double gummi worms, all the way! On a side note, these photos were taken using my Samsung Galaxy Epic 4G -not bad for a phone! Wow! 2 grams of protein! Need to get me some of that!